In the excitement of the new season, supporters are often guilty of creating over-the-top expectations and landing up disappointed when the clubs fail to meet their objectives. Often all we need is a bit of perspective from experts to maintain rational thought; our Q&A mini-series going into the 2014/15 season serves this purpose. The first Q&A of this mini-series focuses on defending French champions Paris Saint-Germain. French Football Weekly editor, Jonathan Johnson, whose work can also be found on ESPNFC, beIN SPORT & Bleacher Report, gives us an insight into Laurent Blanc’s men. Laurent Blanc now has a full season of experience of dealing with the unique pressures of PSG under his belt. He’s had the time to adjust to the system. How do you think he’s grown as a manager? In my opinion, Laurent Blanc has adapted extremely well to the job. Admittedly he showed some naivety in the Champions League quarterfinal second leg against Chelsea, but that is to be expected from a young coach. Otherwise, he has fared very well and eclipsed predecessor Carlo Ancelotti’s achievements, not to mention developed a new style for the team as well. 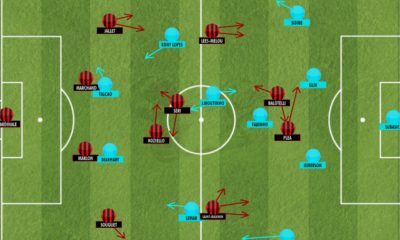 Blanc showed great observational powers to judge his players and find a formation that suited them best, but now he needs to develop greater tactical flexibility. He grew as a coach last season and will do so again this year, the only danger is that he has already set the bar too high for this campaign. David Luiz has been added to the contingent of Brazilian defenders at the club. In England, he hasn’t really made a name as a strong and reliable centre back. 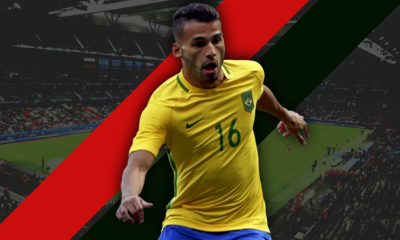 So essentially, what does he add to the PSG backline? PSG have spent big on David Luiz and that decision is coming in for criticism after his poor showing in the World Cup clash with Germany. Transfer fee aside, Luiz is an upgrade on the cumbersome Alex who has now joined AC Milan. The problem for Blanc and his side is that the club spent too much on him, tying their own hands with regards to UEFA’s Financial Fair Play (FFP) regulations and limiting their ability to strengthen elsewhere. Thiago Silva and Luiz’s relationship on and off the pitch will now be under extra scrutiny because of this. When alongside his compatriot, Luiz should be calmer and more collected than the player we have seen without the influence of his defensive partner. However, that puts even more emphasis on Silva’s role. Luiz brings energy, athleticism and greater mobility to the PSG backline, but he is more erratic than Alex. It will be interesting to see how Blanc reacts if there are injuries in the midfield – particularly to Thiago Motta – and whether or not he considers deploying Luiz there as a replacement. With the primary play-makerVerratti playing as deep as he often does, do PSG sometimes lack an attacking thrust from the midfield regions? Yes, they do. Blanc appears to see the solution to this as Javier Pastore. Although el Flaco is primarily a No. 10, Le President seems to think he can function just as well in the midfield three. Should PSG play with two men – ZlatanIbrahimovic and EdinsonCavani – up front this season, Pastore could be deployed in his favoured role behind the pair. He will face competition from Lucas for that spot though. MORE READING | Paris Saint-Germain Tactical Preview: How will Laurent Blanc’s side set-up in the 2014/15 season? The big question with respect to the attacking third is concerned with EdinsonCavani. The Uruguayan had undoubtedly improved PSG as a team in his compromise position, but does it make sense for Blanc to keep a potentially unhappy and disruptive player? It makes perfect sense for PSG to keep EdinsonCavani. In my opinion, the player’s problems lie off the field and not necessarily on it. El Matador has proved in the first half of last season that he and ZlatanIbrahimovic can play together, so Blanc will want to keep the Uruguayan and just try to find a way to make him as effective as – if not more than – the Swede. If Blanc changes the system in order to accommodate Cavani, then the player must perform and justify that switch in style. He will have no excuses for under-performing in the same way he has done since the start of 2014. PSG also need to consider the possibility that Ibrahimovic gets injured again this season and know that Cavani is capable of playing in the same team as Zlatan or on his own without him. The prime threat for PSG in Ligue 1 comes from Monaco, but it’s really Europe that they’re looking to compete in. Do you think PSG can match teams like Real Madrid? On their day, PSG can beat anybody with the team that they have. For the last two seasons they have come up short in the quarterfinals of the Champions League, but that also shows that there is continuity in this team and that their chemistry is developing. As this bond between the players continues to grow, PSG will get stronger and stronger on the European stage. They need one or two additions to the squad in order to go further than the last eight, but the big issue is just that it takes time to win something like the Champions League. Staying with European football, it’s a fairly established fact that Ligue 1 isn’t really the most competitive league in the world, but is this really softening French clubs before they take on European opposition? Unfortunately, France suffers from an inferiority complex regarding their own brand of football. Players and supporters alike believe that Ligue 1 is not sufficiently challenging enough and that football abroad is of a better standard. This is not necessarily always true. The main problem when it comes to French teams playing in European competition is that the team do not take their games seriously enough. Ligue 1 sides work hard all season to qualify for Europe and then throw it away by not treating their qualifiers or group matches with enough importance. Nice and Saint-Etienne were good examples of this last season. I don’t believe that it is a question of French clubs not being good enough for European football, more that they don’t take continental competitions seriously enough. As you know, we try to track the progress of youngsters with our Talent Radar feature. Is there any real opportunity for the likes of Rabiot & Bahebeck to make an impression? Will Digne get an extended chance in the first team? I expect Lucas Digne to feature heavily for PSG this coming season. The moment has arrived for the Frenchman to take over from Maxwell at left-back and this could be his breakthrough season. As for Rabiot and Bahebeck, the former’s quality is known and PSG will give him games where possible. His contract situation is a problem though and the player needs to focus on his form instead of trying to force a move away. Jean-Christophe Bahebeck has been a revelation in pre-season and looks capable of contributing when given the chance, he will need to take every opportunity he gets though as competition will be high once the World Cup players are back in the fold. Winning Ligue 1 is probably the basic expectation for PSG. The real pressure is related to performing in Europe. Is a semi final appearance going to be crucial when this season is judged? Yes. PSG need to take the next step in Europe and Qatar Sports Investments (QSI) will be satisfied if the club can reach the semi-finals. Another quarterfinal finish will be disappointing, but anything less than that would be fatal for Blanc. 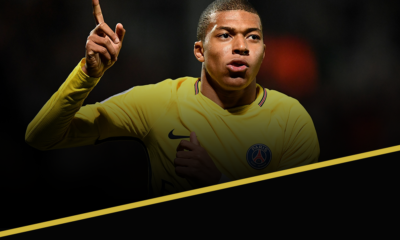 PSG will expect to win the Ligue 1 title again, while success in the Coupe de France is also required after last season’s failure. Having won the Coupe de la Ligue last term, that will not be a priority for PSG. Europe is where they want to make the most impact though. Like their domestic rivals Monaco, PSG haven’t really torn up the market this summer, with the exception of David Luiz. Is this a good window then given that it’s important to form a core base, or a bad one since expectations are ever-growing? It has been disappointing so far from a PSG and Monaco perspective. However, that could change if PSG manage to sign Angel Di Maria. Monaco’s project seems to have stalled and PSG’s ambitious plans have been limited by their ill-advised splurge on David Luiz. For the capital club though, it was not that important to spend heavily as the squad was already full of quality players. 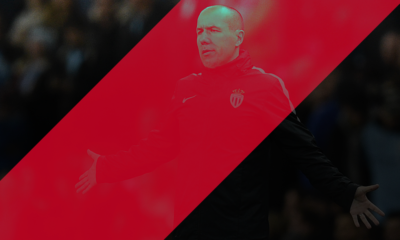 Monaco on the other hand have weakened themselves and are now making their own task of challenging PSG much harder. 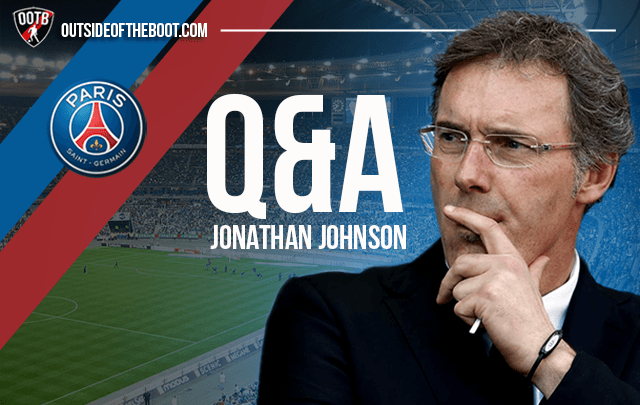 Questions answered by Jonathan Johnson. Follow him on Twitter. You can read all our interviews and Q&A’s here. Check out all articles under our This is Paris blog. Share your thoughts on PSG with a comment below. Paris Saint-Germain Tactical Preview: How will Laurent Blanc’s side set-up in the 2014/15 season? Analysis: Will the 3-2-3-2 work at Barcelona under Luis Enrique?